Claire and Jamie arrive in France, hell-bent on infiltrating the Jacobite rebellion led by Prince Charles Stuart and stopping the battle of Culloden. With the help of Jamie's cousin, they are thrown into the lavish world of French society, where intrigue and parties are abundant but political gain proves far less fruitful. 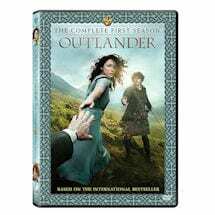 Altering the course of history presents challenges that begin to weigh on the very fabric of their relationship - but, armed with the knowledge of what lies ahead, Claire and Jamie must race to prevent a doomed Highland uprising and the extinction of Scottish life as they know it. 13 hrs, 5 DVDs, SDH. Mature audiences. We regret we cannot ship this title to Canada. Returning to her own time, Claire must reconcile her future with the life she left behind. Shifting back to the 18th century, Jamie, Claire, and Murtagh arrive in France but learn that Paris presents its own challenges. Claire and Jamie plan to infiltrate the Royal Court of France to infiltrate the Jacobite Rebellion. Jamie is forced to deal with Prince Charlie in Paris Brothels. Claire finds an outlet for her skills at L'Hôpital des Anges treating the sick, while Jamie tries to derail the Jacobite Rebellion with the help of a pickpocket. Claire's new relationship with Mother Hildegarde provides a source of needed help for Jamie. Jamie has an unusual response to Claire's news which brings about a confrontation. Louise asks Claire for assistance with a delicate situation, and friendly revelations provide disagreements at a dinner party with uninvited guests. After the dinner party, Claire tends to Mary (and Alex), while Jamie deals with Charles' plotting. A visit to Versailles leads to turmoil for Claire and Jamie. 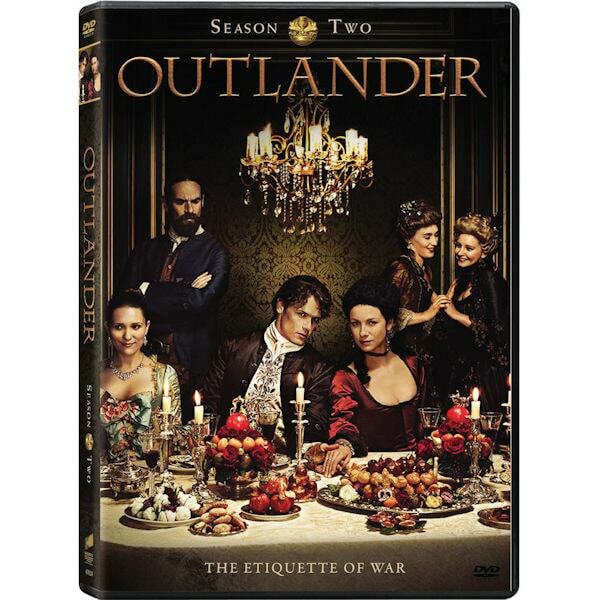 Jamie and Claire use Claire's medical knowledge to devise a scheme to stop a wine deal which could fill the Prince's war chest. When Claire learns Jamie has gone back on his word, the couple is met with dire consequences that will forever change their lives. Doctors at L'Hôpital des Anges attempt to save the lives of Claire and her unborn baby; King Louis asks Claire to judge two men accused of engaging in the dark arts. Claire and Jamie return to Scotland, and back to their home, Lallybroch. Away from the nightmares of Paris, they find solace until a letter arrives. Jamie must go and visit his grandfather Lord Lovat, Simon Fraser aka The Old Fox. Claire accompanies Jamie to meet The Old Fox. Jamie trains his militia men for the upcoming Rising before joining the forces. Claire keeps to Jamie and gives him full disclosure on what little she knows about Scotland's fate in the Rising. Meanwhile, a young British soldier tries to kill Jamie. Jamie needs to bypass a swamp to lead the Jacobite army to win over the British army in a critical battle. Benefiting from her experience as a combat nurse during WWII, Claire tends to the wounded and dying warriors. Claire and Highlanders are sent north after the Jacobite leaders decided to halt their march on London. A band of Redcoats makes trouble for the Scots, leading to the most unexpected reunion for Claire. As Jamie puts all of his efforts into turning the Jacobite army away from the impending slaughter at Culloden Moor, Claire attempts to comfort the sick Alex Randall. She is stunned when Alex reveals an outrageous plan to save the mother of his child. Flashing forward to 1968, Claire travels to Scotland with her twenty-year-old daughter, Brianna, and meets Roger Wakefield. Claire visits Lallybroch and Culloden Moor to make peace with the past, while Brianna and Roger bond over researching Randall family history. Claire finally reveals the truth to Brianna about her time travel through the stones, her life in 1700s Scotland, and Brianna's true parentage. The story is inter-cut with another one back in the 18th century, which happens on the day of the Battle of Culloden.